This dissertation examines the phonological patterning as well as phonetic characteristics of transparent vowels in Hungarian palatal vowel harmony. Traditionally, these vowels are assumed to be excluded from participating in harmony alternations. The experimental data presented in this dissertation run contrary to this assumption. The data show that transparent vowels in Hungarian are articulated differently depending on the harmonic domain in which they occur. Based on this observation, the central claim defended and formalized in this dissertation is that continuous phonetic details of all stem vowels including the transparent vowels are relevant for the phonological alternation in suffixes. The dissertation proposes an integrated model that relates phonetic and phonological aspects of vowel harmony using the formal language of non-linear dynamic. The advantage of this approach is in its potential to capture both qualitative as well as quantitative aspects of the same pattern in a unified way. Crucially, a dynamic approach allows one to express both phonological and phonetic generalizations while maintaining the essential distinction between them. 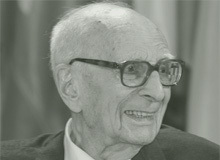 Hence, the dynamic approach provides a feasible research strategy in the quest for understanding one of the continuing challenges in the study of speech: the relation between phonology - the mental or symbolic aspects of our speaking competence, and phonetics - continuous physical manifestations of this competence. 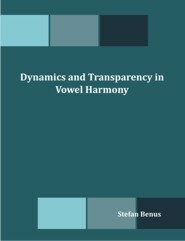 Applied to the particular case of transparency in Hungarian vowel harmony, the premise of interdependency between the phonetic properties of the stem vowels and the phonological patterns of suffix selection allows for an explanation of a broad range of data. Most importantly, it provides a motivation for the cross-linguistic generalizations related to transparent vowels in palatal vowel harmony systems. In addition, the effects of tongue body height, lip rounding, and surrounding vocalic context on the suffix selection in Hungarian receive a natural and lawful explanation. To summarize, this dissertation presents novel experimental data from the production of transparent vowels in Hungarian. The proposed integrated model, relating phonetics and phonology using the formal language of non-linear dynamic, achieves a unified explanation of both the phonetic and phonological generalizations observed in the data and the literature. Stefan Benus has received a Ph.D. in linguistics from New York University and is currently an assistant professor at the Constantine the Philosopher University in Nitra, Slovakia. His main research interests include laboratory phonology and the relationship between prosody and pragmatic functions of speech.